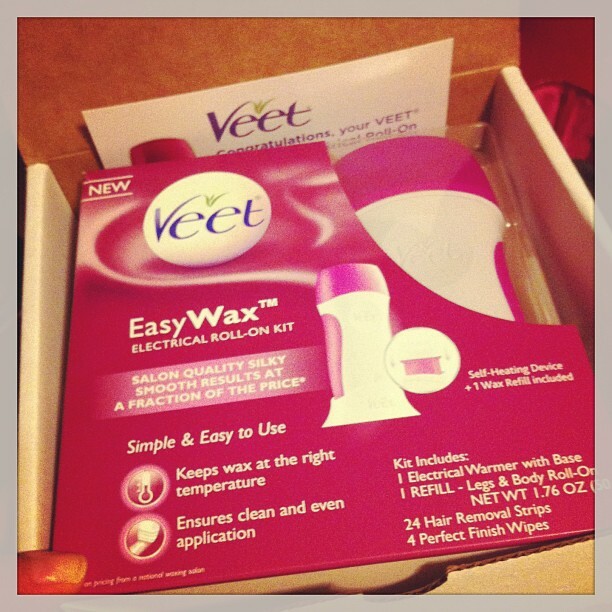 It had been a while since I received a VoxBox from Influenster, so I was super excited to hear about being selected for the Veet Easy Wax Vox Box. I’m Italian and Greek, so hair has always been an issue for me. I was only 10 years old when I started shaving (not a pretty picture), and I’m an avid at-home brow waxer, so I was stoked. Smooth summery legs and not a lot of work to keep them that way? Sign me up. Unfortunately, once I finally opened the package and plugged in, my star-studded expectations were tossed to the side. For me, the wax simply did not remove as much hair as I thought it would. I prepped for this immensely. Read: I did not shave for two weeks before using this product. My legs were right at the 1/2 inch guideline for wax success. I worked on my calf for half an hour to find that some parts of my legs were super smooth and the rest were still hairy. Thankfully, Keith is well aware of my blogging gig and rolled with the punches. On my second attempt one day later, I let the wax sit and get hot for an hour (double the time it said it needed). Same results: patchy and unpleasant. I broke down and shaved my legs and got my woman-scaping done the old fashioned way. I’m disappointed because I LOVE waxing my eyebrows and thought that leg waxing would (or should) be just as easy. The product itself is easy to set up, hold, and work with, but the results just aren’t cutting it for me. I would have liked the wax to get hotter (it has a self-guiding temperature gauge, which, while safe…doesn’t allow for much success), and I think the higher temperature would have yielded much better results. Â All’s well that ends well in the game of hair removal. While shaving every other day is a pain, I’m thinking that for now, that’s what this Mediterranean hairball must do for now! I filled out the survey for this VoxBox but wasn’t chosen, and after reading yours and a few others’ reviews I’m kind of glad. I usually wax on the regular, and I agree with what you and others have said, the wax probably doesn’t get hot enough to get a good grip. Too bad, because I bet this could be a very convenient product! 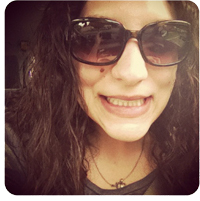 Thank you for commenting on my blog post! I hope to see you comment more often! Yeah it was a bit nerve wracking but they’re awfully nice and welcomed me to the family. It made it much easier to talk to them when they were welcoming like that. They were really laid back. Out of curiosity how do you get things sent to you to be reviewed? I’ve always wondered how fashion gurus did this on youtube. I never did know the secrets behind it to test it and review. But yeah it would be nice to try and review some products. But I’m sorry to hear this wax isn’t good enough. Sometimes, products that usually state so – are just that not good enough. However, you did test it out so that’s all that matters right? Ive had such awful experiences with veet and nair hair removal kits. This one time I bought the blade less shave cream I tried it and as I was running the spatula thing up my leg it was burning off a layer of skin at a time! Ouch! I’m glad your experience with veet wasn’t as bad as mine! I always wanted to wax my legs. I find it much better than shaving since you’re only cutting the hair rather than pulling the hair off at one go. I’m sorry to hear that the product didn’t work to your expectations even with different methods of preparation. Just do what you can and you will get through :). Hopefully you will find a waxing product that will do the job easily!